Family friendly Forest River Flagstaff Lightweight tent trailer with slide-out dinette, shower/cassette potti, front storage box with sliding tray, king bed, queen bed, innerspring mattresses, furnace, and sofa and dinette that convert into beds. 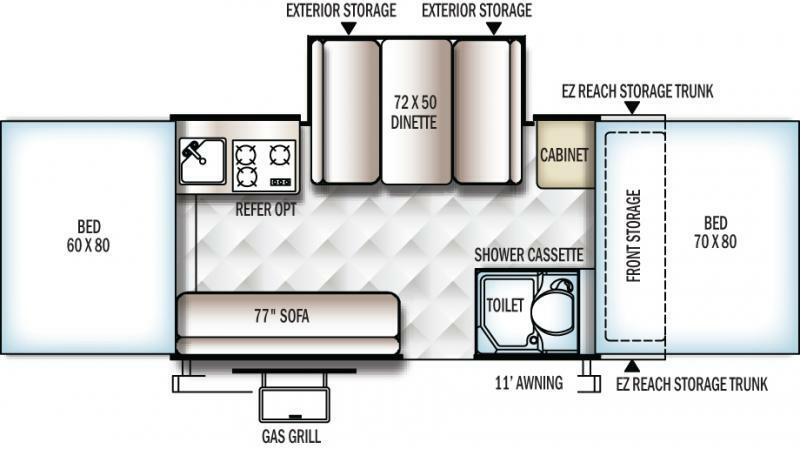 Equipped with The Camper Package, dual propane tanks with covers, and hanging kitchen cabinet and wardrobe. This 625D is a MUST SEE! Hurry to our Weare RV lot today!